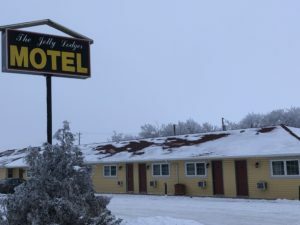 The Jolly Lodger Motel is conveniently located in Russell, Manitoba at the junction of the Yellowhead Highway #16, and Highway #83, across from our sister hotel, The Russell Inn. Our guests are welcome to enjoy the many conveniences located on the Russell Inn properties, including the Pool, Hot tub and Waterslide. We feature easy access & parking for cars and fifth wheel truckers alike with two acres designated for truck parking. We are just 15 minutes south of the Asessippi Ski Area & Resort and 20 minutes from Lake of the Prairies. Access to snowmobile trails, surrounded by excellent trout fishing and more. See Asessippi Parkland Tourism for more information about our region or visit the Town of Russell.